Julie Kelman, a third-year medical student, investigated the link between neighborhood food environment and the development of coronary artery calcification. A preponderance of fast food outlets and conveniences stores can signal an unhealthy neighborhood food environment. But are those features actually associated with an increased risk of cardiovascular disease? 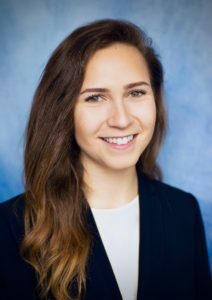 In a new study, third-year medical student Julie Kelman and her collaborators provide a deeper understanding of the association between access to unhealthy food and the development of subclinical atherosclerosis, or the narrowing of arteries due to plaque buildup. Using data from participants in the Coronary Artery Risk Development in Young Adults (CARDIA) study, Kelman investigated whether increases in the neighborhood density of fast food chain restaurants and convenience stores were related to the development of coronary artery calcification — a measure of atherosclerosis — over time. Kelman conducted the research, which was published in the Journal of the American Heart Association, under mentor Kiarri Kershaw, PhD, MPH, ’12 GME, associate professor of Preventive Medicine in the Division of Epidemiology. “Given the importance of research in improving health, I plan to continue engaging in research pursuits and public health initiatives throughout my medical training and in my future career,” Kelman said. During my undergraduate education at Northwestern, I spent time in France learning about public health and the healthcare system there as part of my minor in global health. Studying the determinants of health abroad morphed into an interest in public health at home. Therefore, when deciding on a topic for my Area of Scholarly Concentration (AOSC) project, I knew I wanted to combine my desire to engage in public health alongside my fascination with the pathophysiology of the heart. From these two interests, I became curious about the interplay between the food environment of neighborhoods and its effect on the development of atherosclerosis. I sought out mentorship from Dr. Kershaw after reading some of her papers involving the CARDIA study. This is a cohort study of about 5,000 people from various regions in the U.S. that examines the risk factors and determinants of cardiovascular disease. I am so appreciative to have had the opportunity to work with Dr. Kershaw. With her access to such a vast amount of data, as well as expertise in research and the field of public health, we brainstormed questions that investigators had not yet examined from the CARDIA study. In the end, we settled upon investigating whether neighborhood fast food chain restaurants and convenience stores are associated with the development of subclinical atherosclerosis, as measured by coronary artery calcification (CAC), otherwise known as plaque. In our study, we found that increases in the relative availability of convenience stores within a person’s neighborhood are related to the development of CAC over time. Our data show that middle-aged people with a 10 percent increase in the number of convenience stores in their neighborhoods were over 30 percent more likely to develop CAC over a 10-year follow-up — even after controlling for a variety of health behaviors, including smoking, alcohol use and fast food consumption, as well as personal health characteristics such as blood pressure and diabetes. 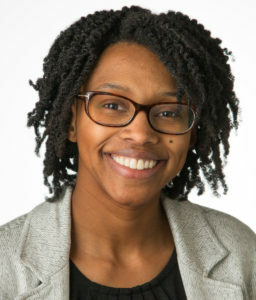 Kiarri Kershaw, PhD, MPH, ’12 GME, associate professor of Preventive Medicine in the Division of Epidemiology, was the principal investigator of the study. The direction of the association was the same for the relative availability of fast food chain restaurants, but the association was smaller in magnitude and not statistically significant. While a number of studies have linked neighborhood characteristics to the development of subclinical atherosclerosis, we are one of the first to investigate longitudinal associations of fast food chain restaurants and convenience stores with the development of CAC. This research is significant because it supports the notion that cardiovascular health depends not only on the behavioral and biological characteristics of individuals, but also on the environments where people live. However, further work is still needed to determine the mechanisms linking increases in convenience store concentration to CAC development, in order to better facilitate the development of effective policies to prevent cardiovascular disease. The CARDIA study is supported by contracts HHSN268201300025C, HHSN268201300026C, HHSN268201300027C, HHSN268201300028C, HHSN268201300029C and HHSN268200900041C from the National Heart, Lung, and Blood Institute (NHLBI), the Intramural Research Program of the National Institute on Aging (NIA), and an intra-agency agreement between NIA and NHLBI (AG0005). The development of neighborhood measures used in the research was supported by grants R01HL104580 & R01HL114091.